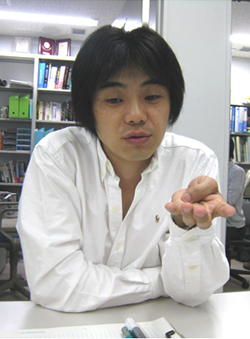 Interviews with Imaging Experts - Yuji Ikegaya, Ph.D.
Dr. Yuji Ikegaya is one of the world’s most productive neuroscience researchers. 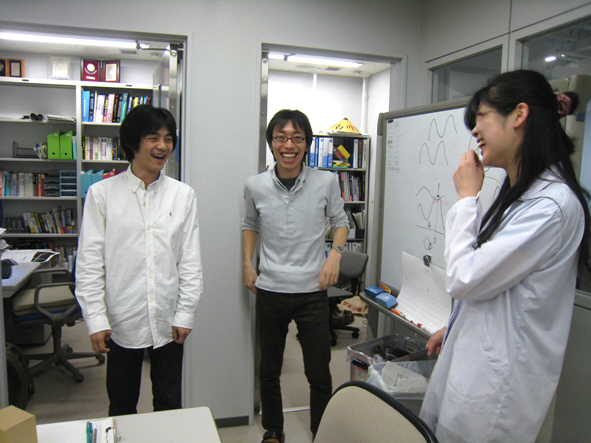 He investigates the plasticity of the brain and is an expert on neuronal circuit dynamics in the hippocampus. One major tool in his research is the CSU, which he uses to perform high-speed functional multineuronal calcium imaging (fMCI). fMCI is an imaging technique that was developed by Yuste and Katz (Neuron 6:333-344, 1991). 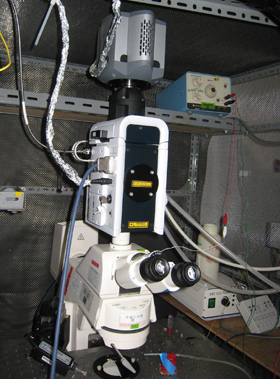 This technique involves the multicell loading of calcium fluorophores and has the unique advantages of being able to record hundreds of neurons over a wide area with single-cell resolution, identify the location of neurons, and detect non-active neurons during the observation period (http://gaya.jp/data/). Why did you choose the CSU? In my research, I need to record calcium reactions in brain slices at a high speed and with a wide field-of-view. That is why I was very interested in the high-speed image acquisition potential of the CSU. However, it was not until I joined Professor Rafael Yuste’s laboratory at Columbia University in 2002 that I had a chance to use the CSU. At first, they had only two-photon microscopes, but Professor Yuste agreed to buy a CSU system for my research. What was your first impression of the CSU? The first thing that really impressed me was that, in contrast to the single-point confocal microscope that I had used in Japan, there was significantly less photobleaching in the confocal imaging with the CSU. My colleagues at the Yuste laboratory knew only 2-photon microscopes and took this for granted, which would seem to suggest that the CSU and the two-photon microscopes had similar performance in this respect. In addition to the experimental conditions, I also developed software to analyze huge volumes of signal data. However, photobleaching at the focal point is actually much faster with two-photon imaging than it is with single-point confocal imaging, and thus, very significantly faster than with CSU imaging. For the fMCI experiments, stability during long-term and high-speed imaging is most critical; in this respect, fMCI is a very effective application that can make full use of the capabilities of the CSU. What is the key to making full use of the CSU’s capabilities? In general, progress in experimental research often speeds up following the arrival of an innovative new instrument. However, simply introducing a new instrument with new functions may not necessarily generate a breakthrough. I believe that we, the users of these new instruments, should thoroughly examine experimental conditions up to the point where we can know what each instrument’s limits are. Knowing these limits, we may then be able to devise a cutting edge experimental procedure that can lead to new discoveries. If you thoroughly examine every possible condition,you may discover that instrument’s unique characteristics and learn how to push it to its limits. In the case of the CSU, I made a very thorough investigation of every experimental condition. Regarding hardware, selecting the right camera is essential for optimal CSU imaging. As for camera selection, those CSU users who think the CSU does not yield bright images are probably using old CCD cameras; I advise them to try new, highly sensitive EMCCD cameras. Of course, other hardware choices, most typically selection of the optimal objective lens, can impact imaging. Furthermore, the biggest challenge is to investigate the optimal sample preparation methods, for example, by determining how to make and culture brain slices and how to select fluorescent dyes and their loading conditions. While neuroscience experiments are typically limited to handling no more than 100 cells at a time with a maximum 50 Hz temporal resolution, our system allows the recording and analysis of more than 10,000 cells at up to 2,000 Hz. By stretching the functions of the CSU system to the limit, we are able to acquire and analyze several orders of magnitude more data. I wish to continue my investigation of neuronal networks at the multi-cellular level, and this is only possible with the CSU. As our two CSU systems are running non-stop, I would acquire more if we could afford it. 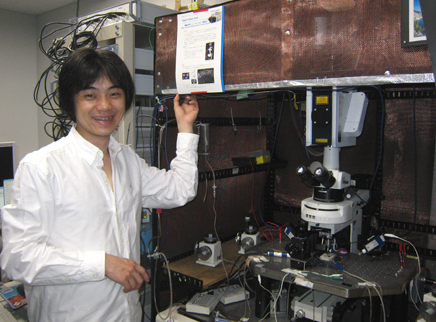 We were very pleased to see Dr. Ikegaya working hard to get the most out of the CSU by examining the widest possible range of experimental conditions, and believe that he has been quite successful in developing new approaches to elucidate neural networks. In addition, having learned of his kind concerns for certain dissatisfied CSU users, we are very motivated to advise them on how best to improve imaging by upgrading their old systems. 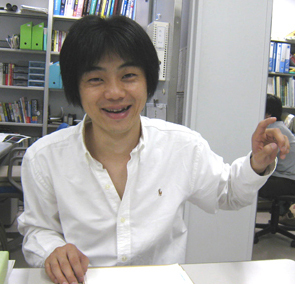 Aside from his top-tier research accomplishments, Dr. Ikegaya is famous as the author of many bestsellers, unfortunately all in Japanese. The majority of these are comprehensive commentaries on the latest neuroscience and brain function research. His sophisticated but easy-to-understand explanations fascinate even non-scientists and are drawing people young and old into wanting to learn more about the mysteries of the brain.